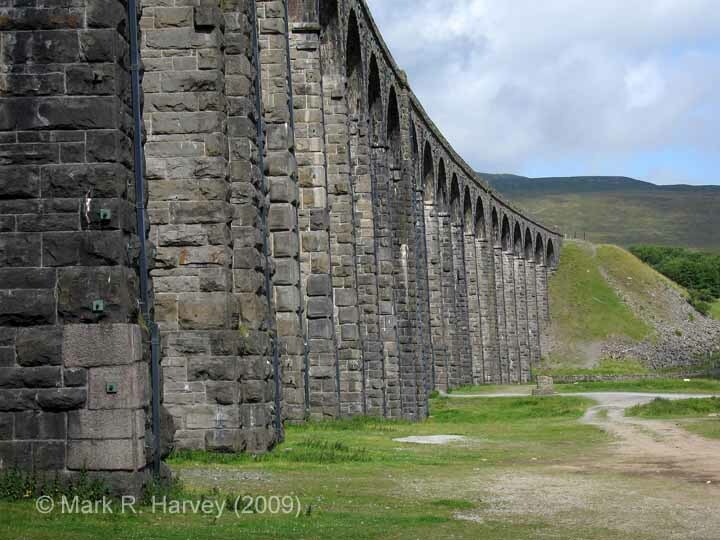 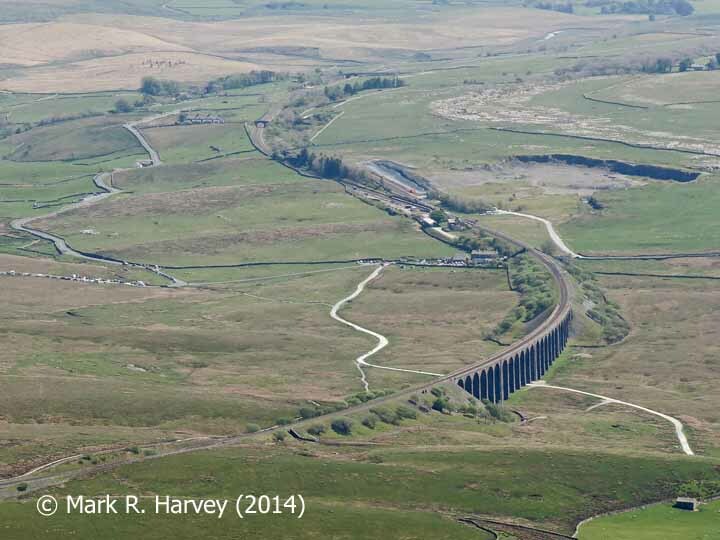 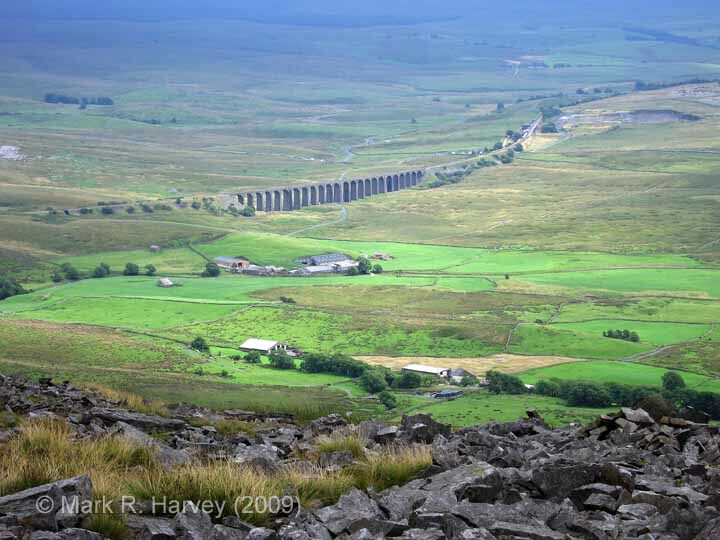 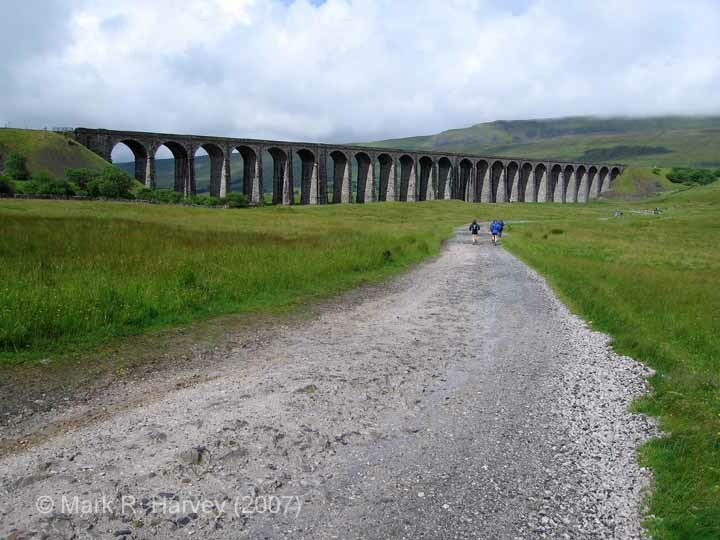 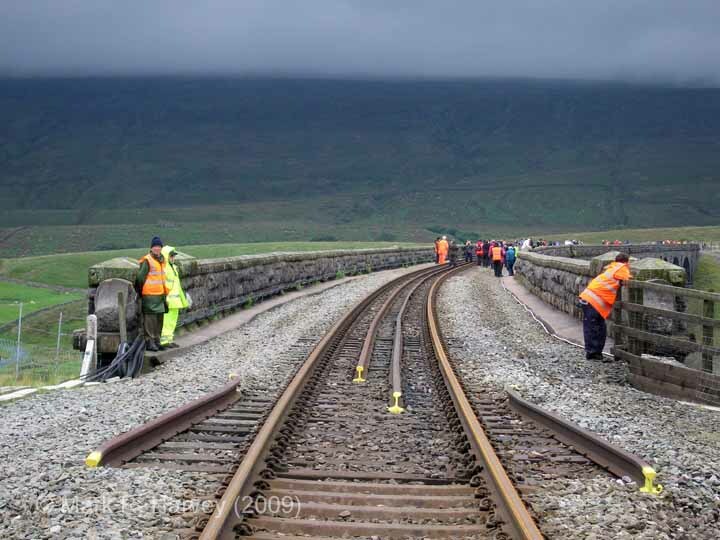 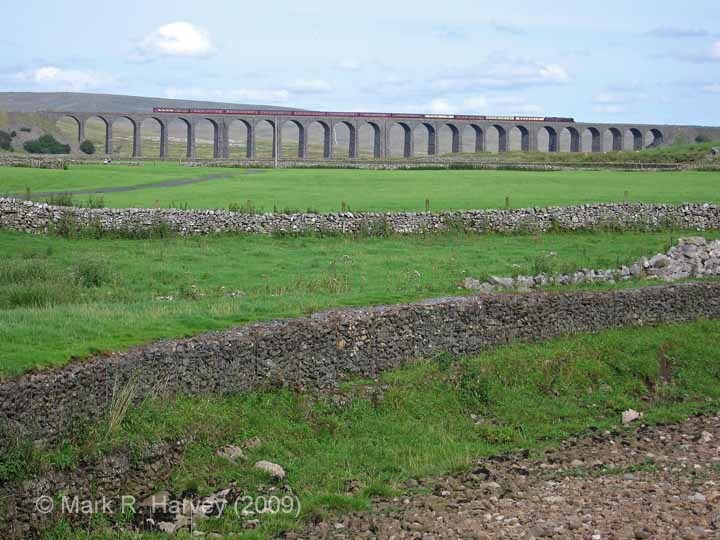 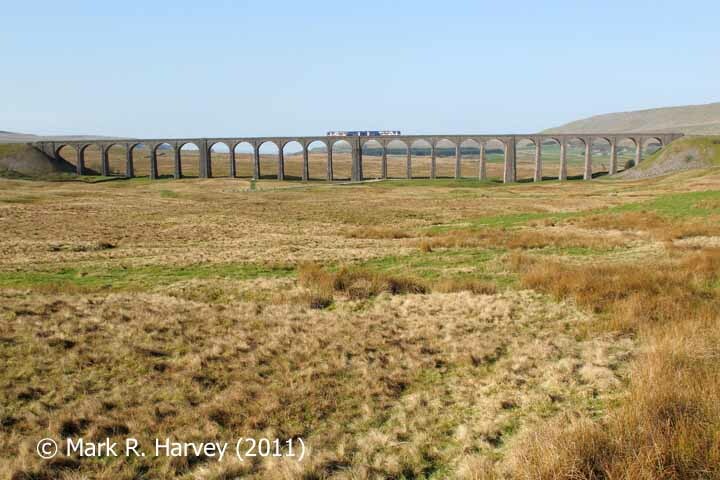 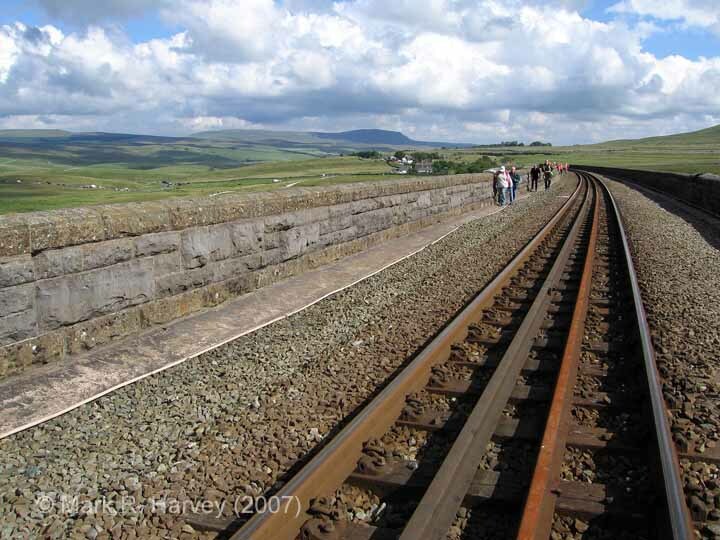 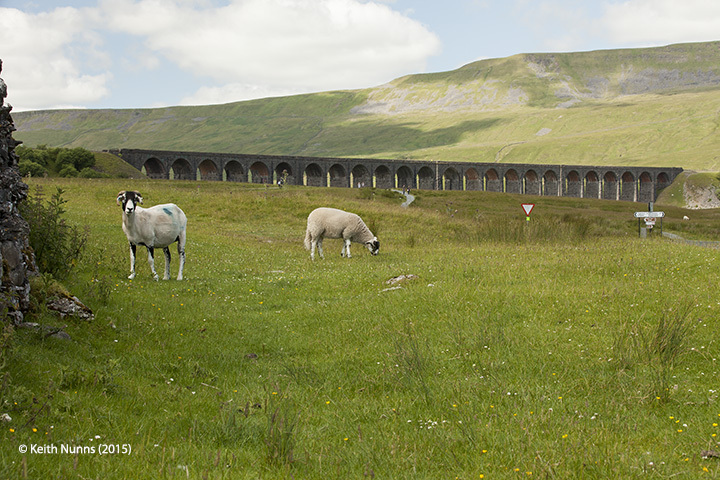 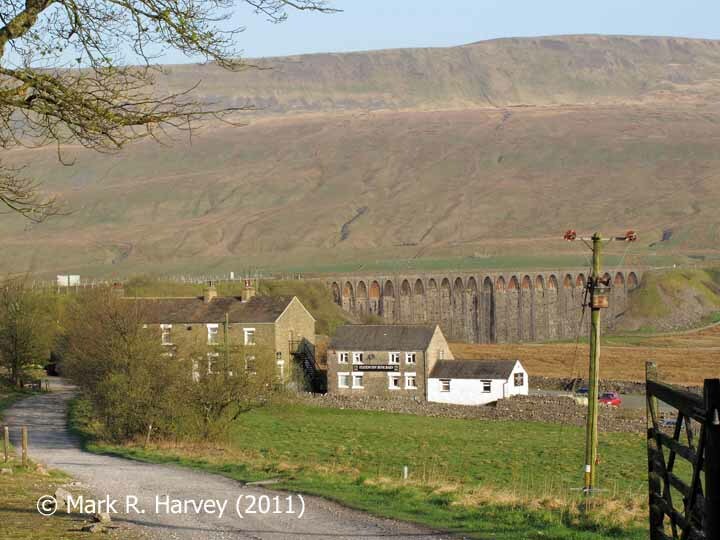 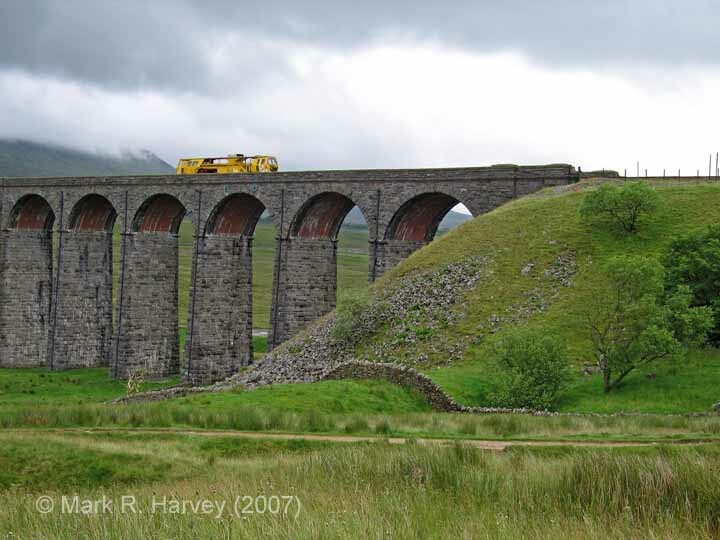 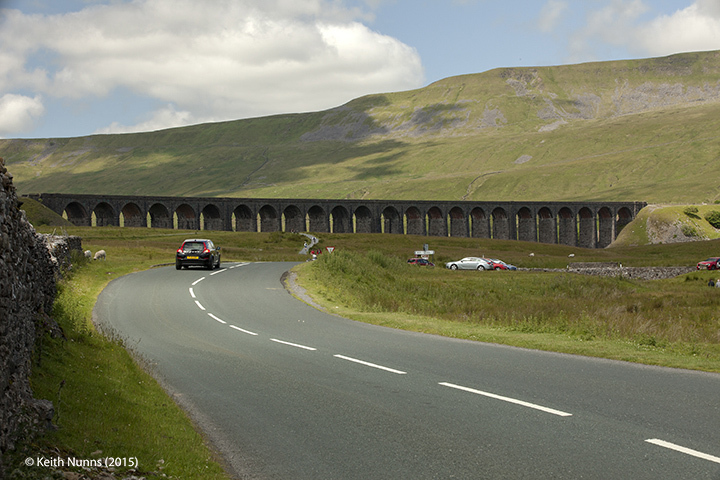 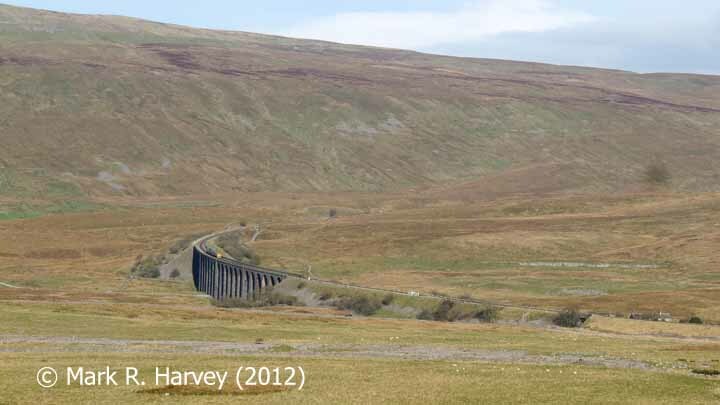 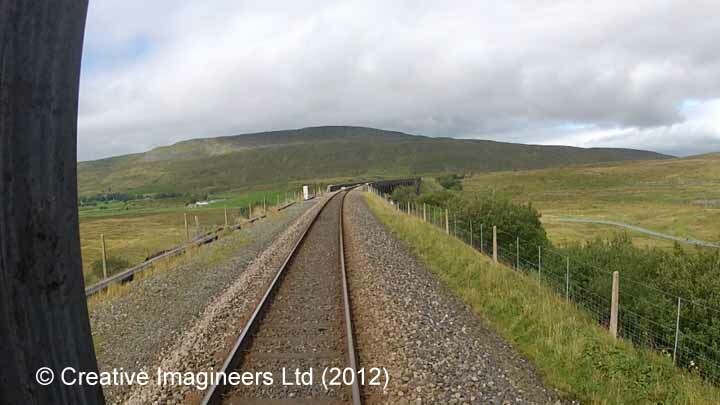 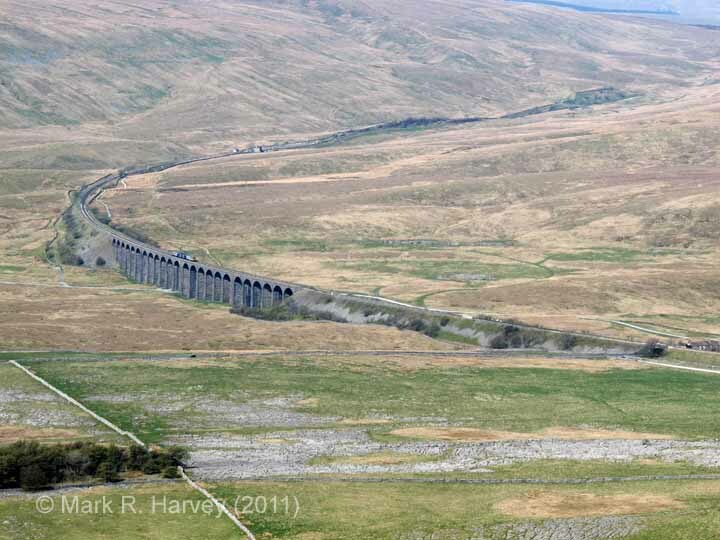 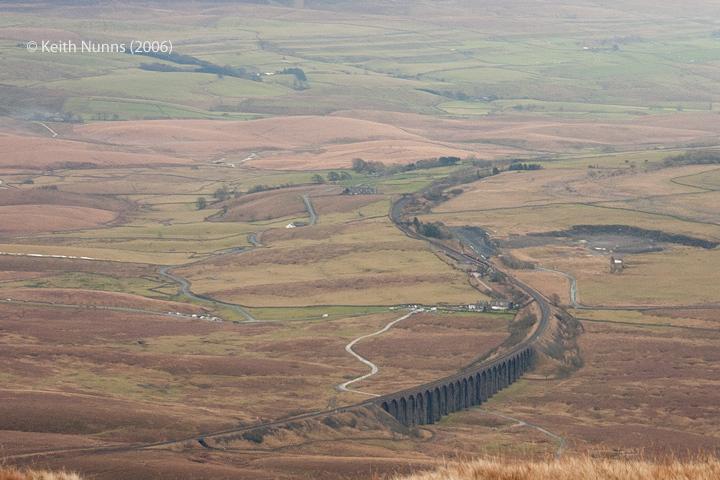 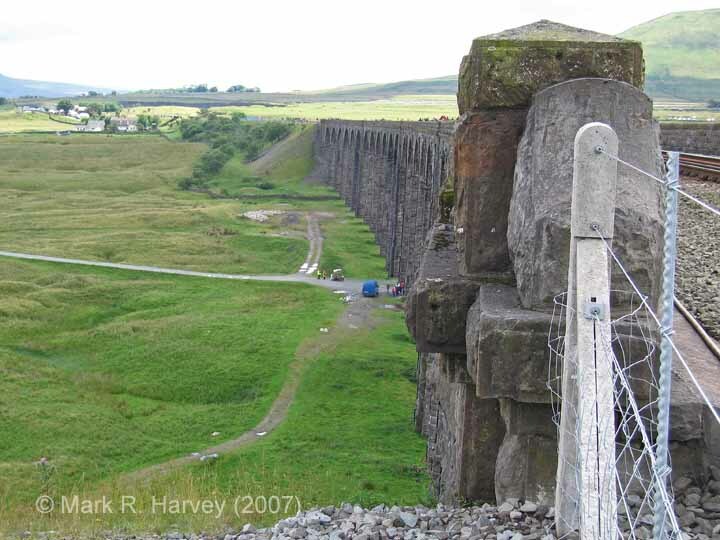 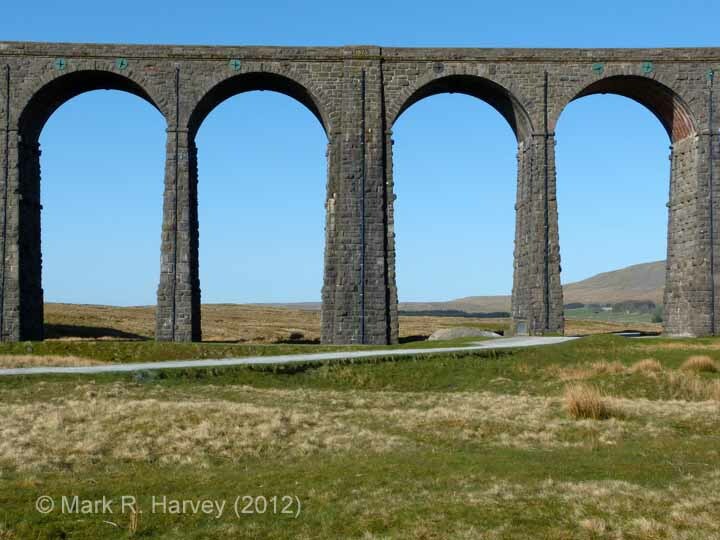 Ribblehead Viaduct (also known as Batty Moss Viaduct and Bridge SAC/66) is the longest viaduct on the line. 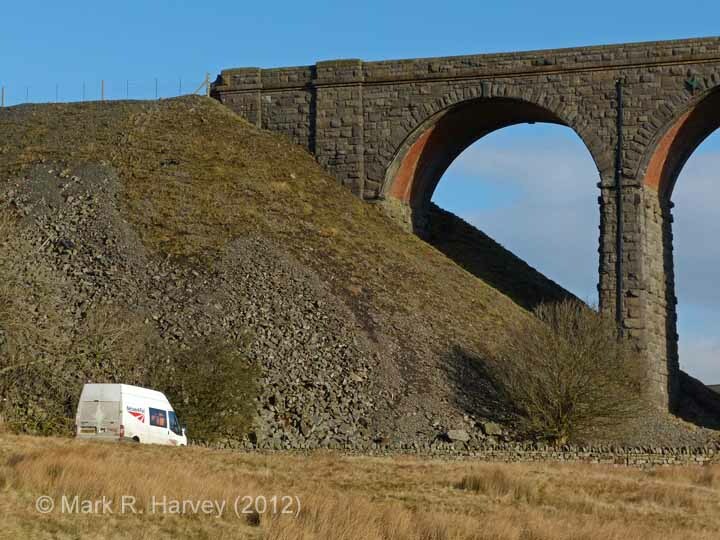 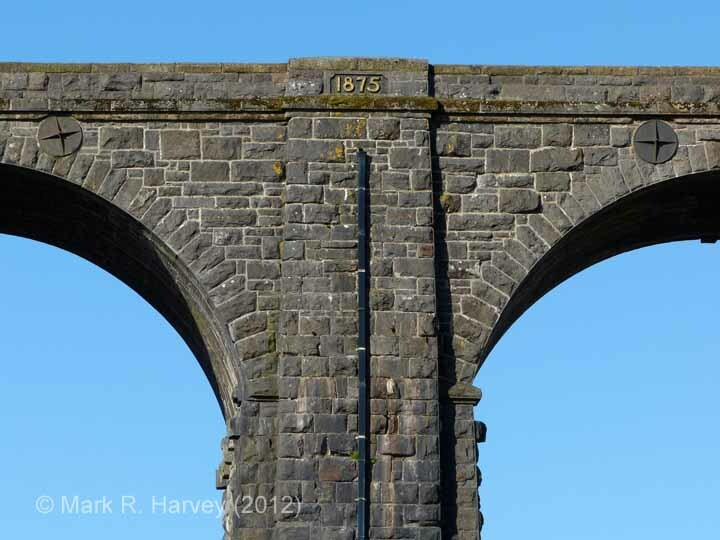 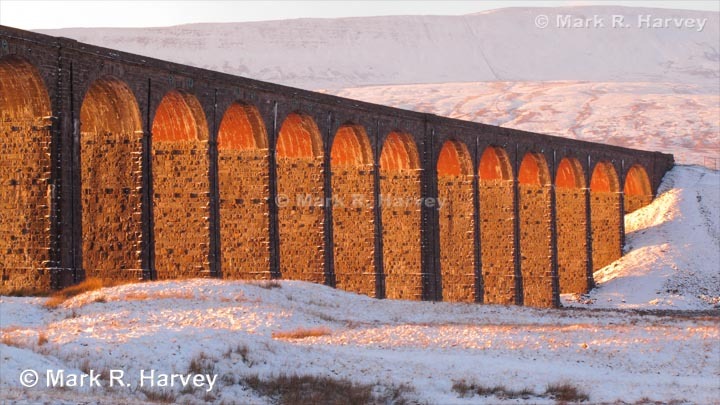 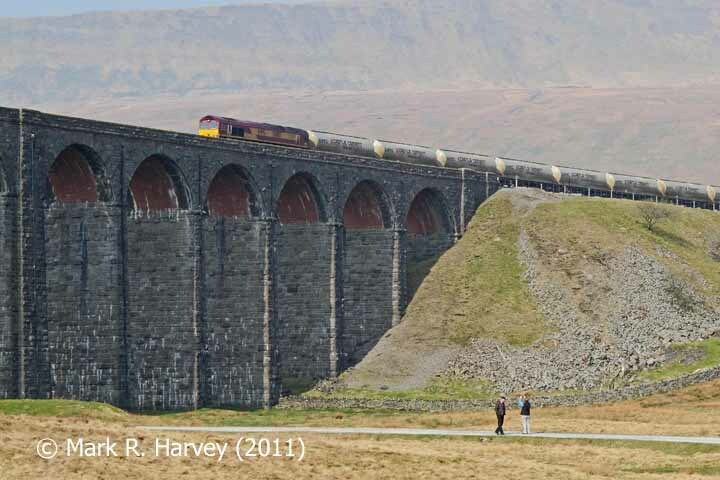 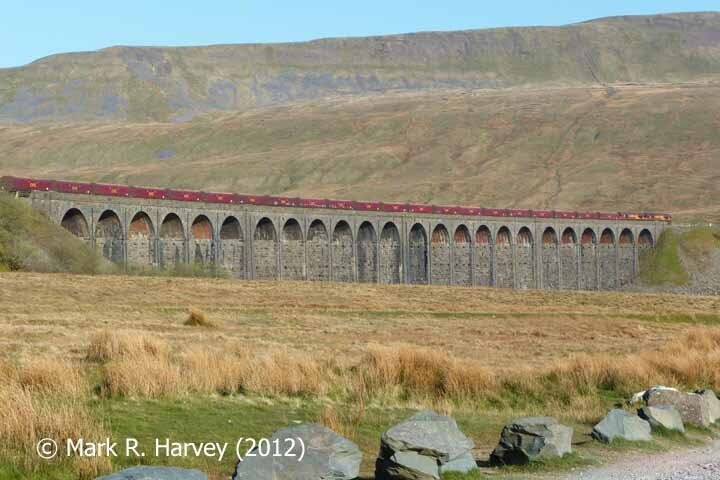 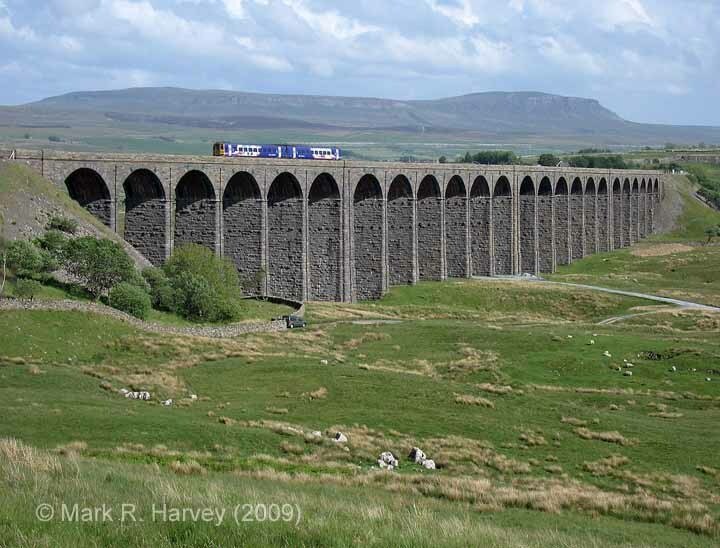 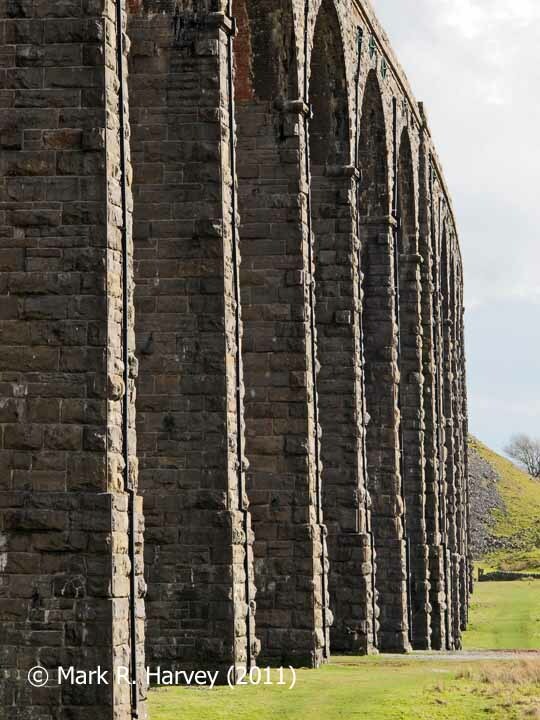 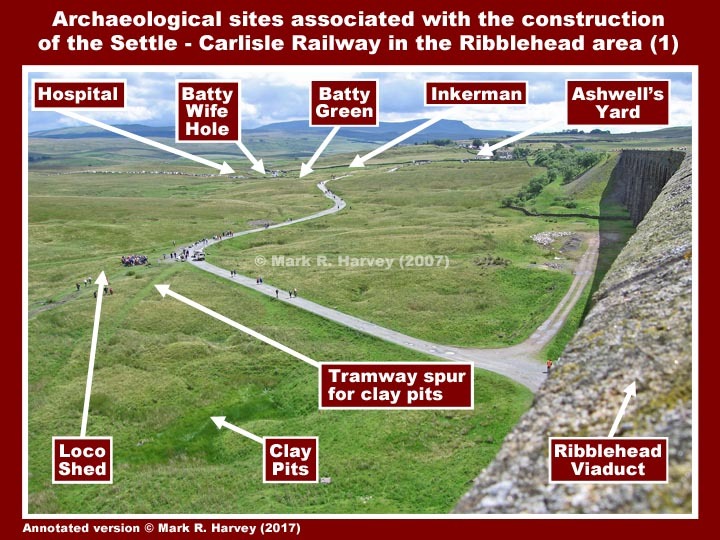 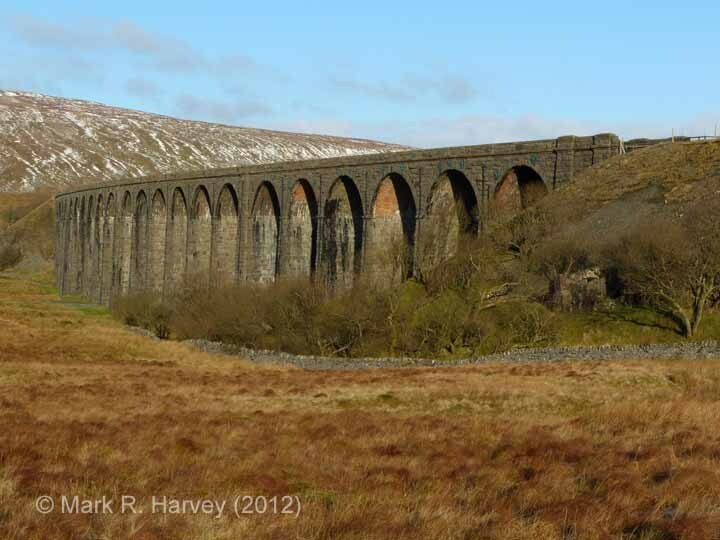 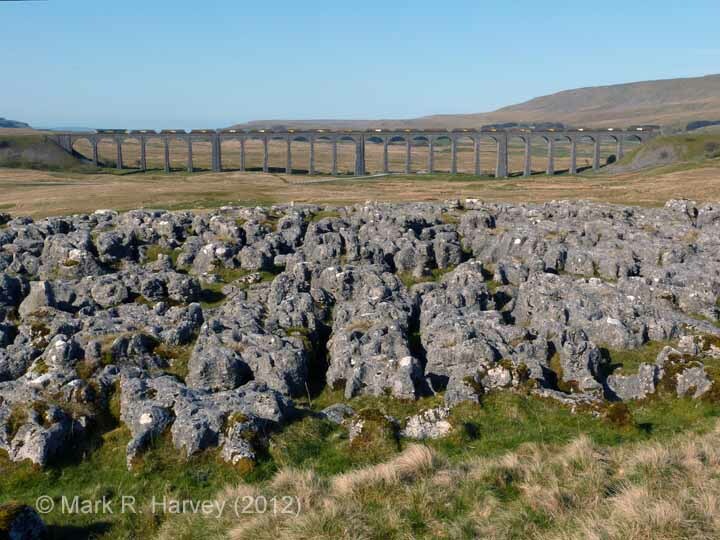 It is 440 yards long, 100 feet high, has 24 arches and it carries the Settle-Carlisle Railway over a dry valley known as Batty Moss. 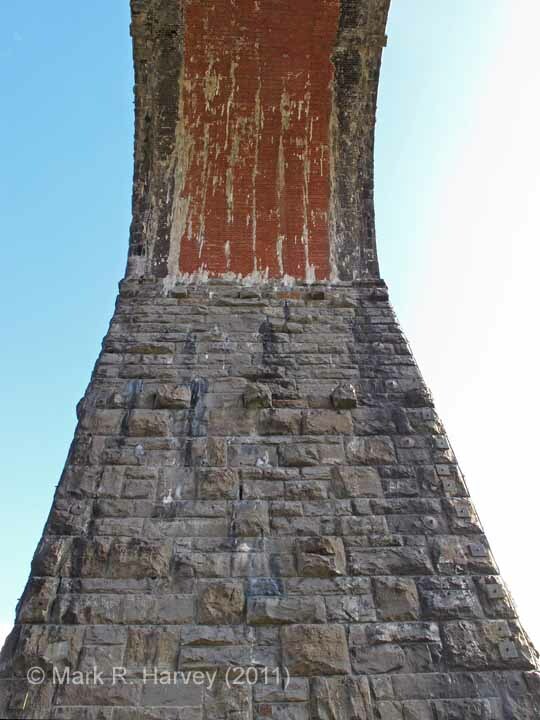 The viaduct was built as a free-standing structure. 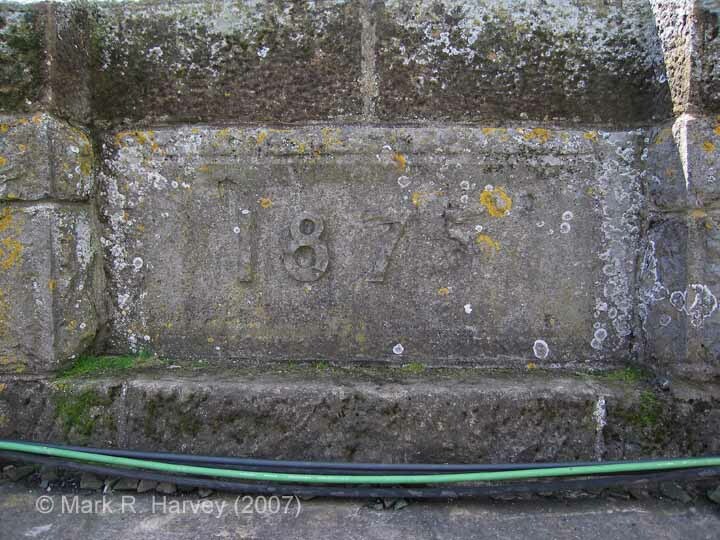 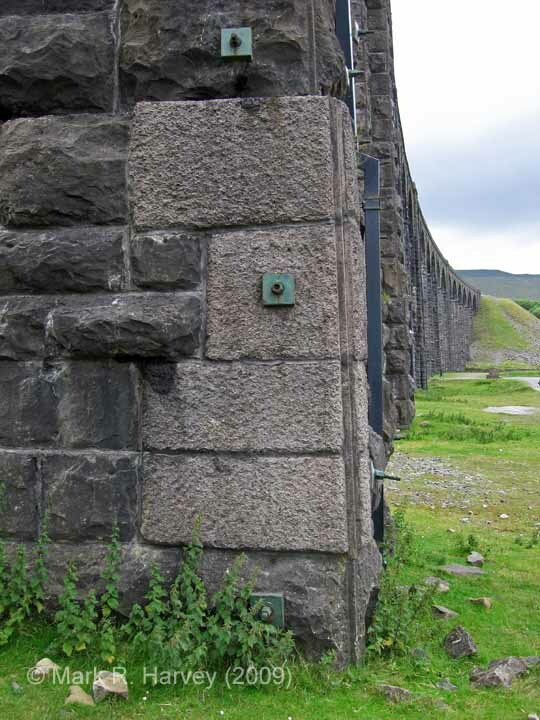 The abutments at each end are a similar height to the piers, although they appear to be shorter because the embankments were built-up around them. 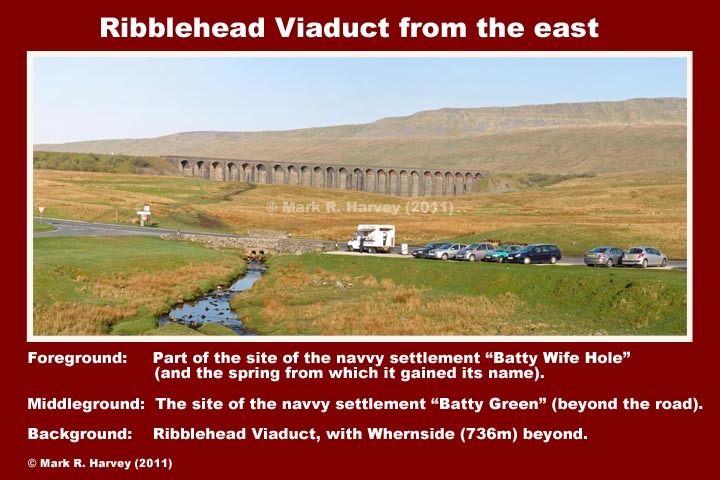 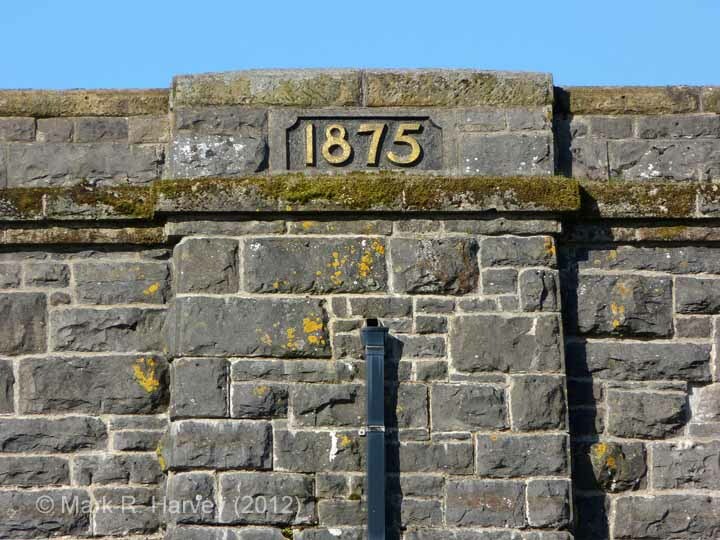 Before the navvies could build the piers and abutments, they had to dig holes up to 25 feet deep through peat and boulder clay to reach the limestone bedrock. 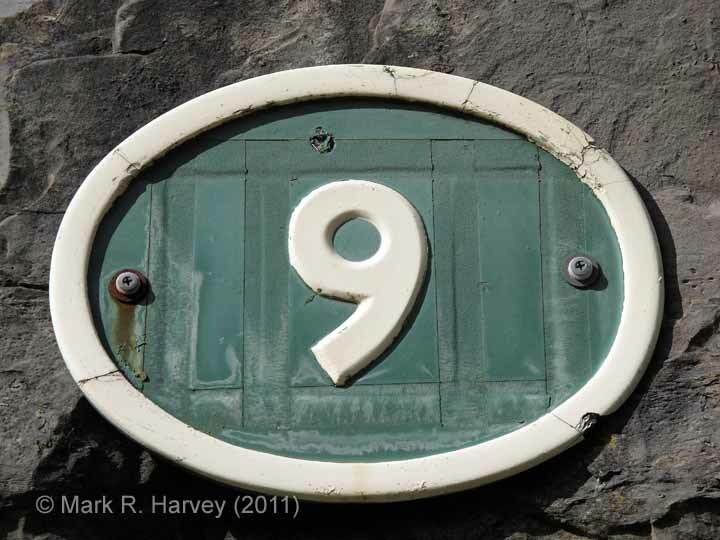 Piers 6, 12 and 18 are known as 'king piers'. 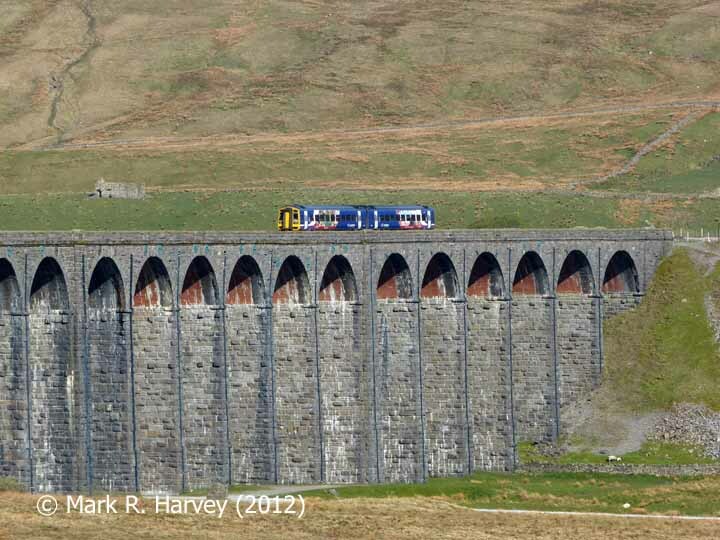 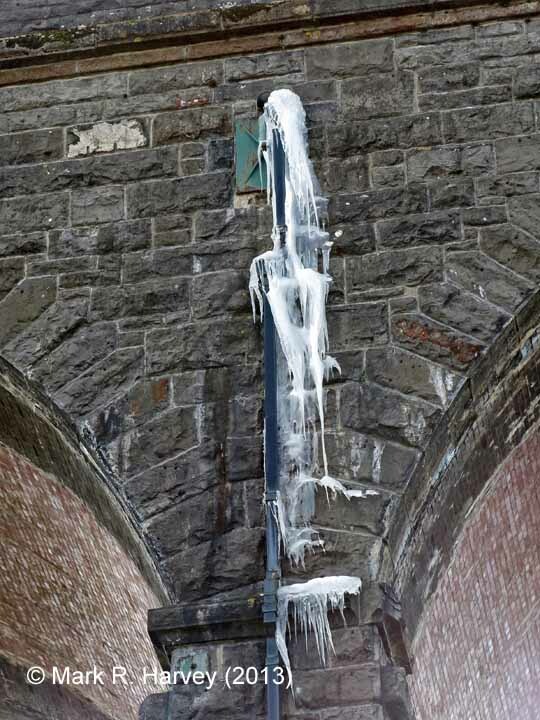 They are twice as wide as the others and they help to make the viaduct very strong. 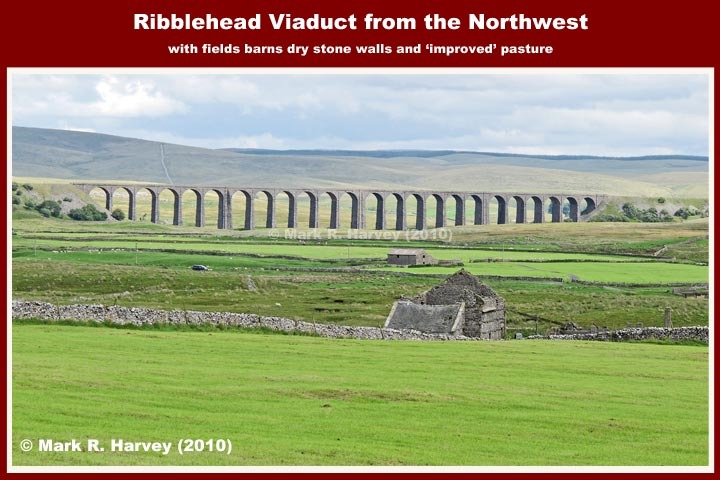 They were hollow when built, but have since been filled with rubble, sand and a special cement grout.